That hasn't happened. But experts say Google Plus has served a valuable purpose for the giant Internet company as the centerpiece of a broader strategy to create a unified profile for each person who uses any of Google's online products - the better to deliver more targeted advertising, which is highly profitable for Google. And despite speculation fueled by the resignation of longtime Google Plus boss Vic Gundotra, the company says it has no plans to abandon the service. "Reports of our death have been greatly exaggerated," said David Besbris, a Google engineering vice president who took over Google Plus when Gundotra, a senior vice president, left the company two months ago. In his first public comments to a reporter since Gundotra's departure, Besbris said in an emailed statement to the San Jose Mercury News that Google Plus has "hundreds of millions of users (and growing)." He vowed: "We're committed to building a product that people absolutely love. 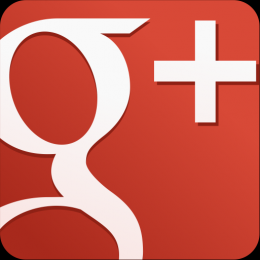 So no, Google isn't giving up on Google Plus." Google declined to make Besbris or Bradley Horowitz, a longtime Google Plus vice president, available for a formal interview. Gundotra hasn't publicly explained his departure from the company, though by all accounts he left on good terms. In his statement, relayed through a spokesperson, Besbris described Google Plus as both a social network and "a social fabric on and off Google." The latter refers to Google's efforts to make Google Plus serve as the identity that people use for signing into other Google services and independent applications, as well as to comment on YouTube and endorse or share things they find on other websites while signed in to Google Plus. Google says this helps the company provide a "more consistent experience" to users - for example, by anticipating that you want directions on Google Maps for the restaurant you found with Google's search engine, then letting you review the meal on Google Plus. Analysts say it also lets the company compile a more complete picture of a user's habits or interests, by recognizing them on a variety of services and devices, which in turn helps Google show more relevant advertising. The biggest part of Google's $60 billion in annual revenue comes from ads tied to Internet searches, but it's increasingly selling other types of online ads, too. "The more they can combine what they know about people, across all different channels, the better understanding they have for each user, and that's vital to their ad sales efforts," said Forrester Research analyst Nate Elliott. When combined, he said, Google's broad range of apps and services may provide more information than Facebook can glean from its users' likes and updates. Besbris, who led the engineering team that built Google Plus, posts regularly on the social network and likes to share photos he's taken of flowers and other things that catch his eye. In his statement, he offered few specifics about his goals for the service, but said he wants to "build on our momentum, build a product that people absolutely love, and make Google Plus the place for meaningful conversations online." It's difficult to gauge how many people are having those conversations. Enthusiasts use Google Plus for photo-sharing, video chats and sometimes passionate debates. But it's never come close to Facebook's popularity as a digital town square. "Once in a while, I meet people who are like, 'Google Plus is my life.' But I think it's mostly a small group," said Chris Abraham, a digital marketing consultant and avid social media user. Abraham said he gets little response when he shares items on Google Plus. He believes many users simply repost items they've already put on Facebook or other sites. Google hasn't released any user statistics since October, when it said 540 million people worldwide used Google Plus credentials to sign in or post comments on any Google service in the previous month. A smaller group of 300 million visited "the stream" of Google Plus itself, but even that figure counts people who merely click the red Google Plus symbol that can appear on-screen while using other Google services, causing a short list of updates to appear in the corner. By comparison, Facebook boasts 1.28 billion monthly active users worldwide, although that reportedly includes people who click a Facebook icon to "like" or share something they find on another site while signed into Facebook. Nielsen researchers use stricter definitions to estimate that 27.4 million U.S. residents visited the Google Plus website in April and 45.6 million opened its smartphone app, with some overlap between the two. Nielsen's estimates for Facebook were 117.8 million U.S. users on the website and 116.7 million on the mobile app, also with some overlap. Google Plus always faced an uphill battle against the more established Facebook, said Charlene Li, a social media expert and founder of research firm Altimeter Group. "If your friends are not on Google Plus, and likely they're not, you're going to go on Facebook." Still, the number of Google Plus active users is roughly the same size as those on another service - Twitter, according to both Nielsen and Forrester Research. And while there's no direct advertising on Google Plus, said Forrester's Elliott, companies that maintain a page on Google Plus have more online interactions with their followers than they do on Twitter. "Google Plus is actually a useful social site" for companies to promote their brands, he said, but "even Google doesn't seem to understand the value of Google Plus as a standalone property." Altimeter's Li said the future may lie elsewhere. While Google already operates a variety of apps and services, she noted that Facebook is building and buying a stable of stand-alone apps that let people directly share pictures, news items and messages with their friends - all without visiting Facebook's main site. "The idea of a destination site, like the Google Plus page," she said, "is getting kind of antiquated. Facebook says it has 1.28 billion monthly active users around the world. By comparison, Google Plus says 540 million use Google Plus credentials for a variety of services, with 300 million users "in the stream." Twitter reports 255 million active users. Nielsen says 117.8 million U.S. residents visited Facebook's website and 116.7 million used Facebook's smartphone application in April, with some overlap between the two groups. Google Plus had 27.4 million visitors on the Web and 45.6 million on its smartphone app, while Twitter had 33.6 million visitors on the web and 38.9 million on its smartphone app - both with some overlap between Web and mobile visitors. Forrester Research surveyed 60,000 U.S. adults who use the Internet earlier this year, and found 72 percent used Facebook at least once a month, while 22 percent used Google Plus and 22 percent used Twitter. I was particularly struck by the comment that the future might lie elsewhere... I think of the three main social networking sites, both Facebook and Twitter formats are the most rigid and in my opinion the most controlled and confining. I would suggest that Googleplus on the other hand is the most open to change and flexible to be used by different demographics with differing criteria and interests. If one defines evolution as things change over time then the future may indeed be elsewhere than where we appear to be heading. Friendster failed by not adapting, it's successor Myspace failed and consequentially has reinvented itself to appeal to Millennials. GPlus seems to be adapting early and to be responsive to it's communities members and while how this pan out may well be unclear. G+ has the most potential to capitalise on those who want to improve their experience of using social media going forward. It continues to innovate somewhat at a tangent to their competition.